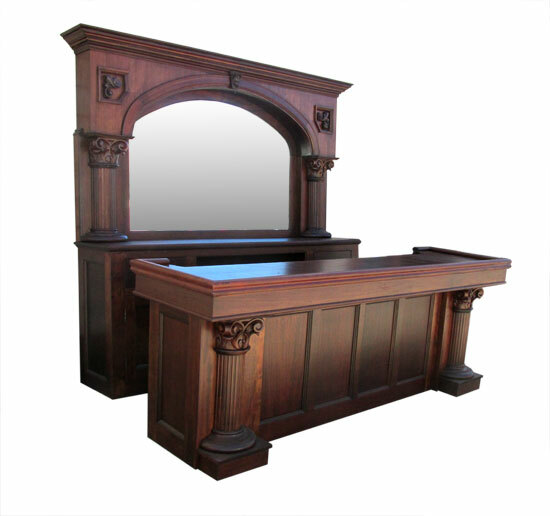 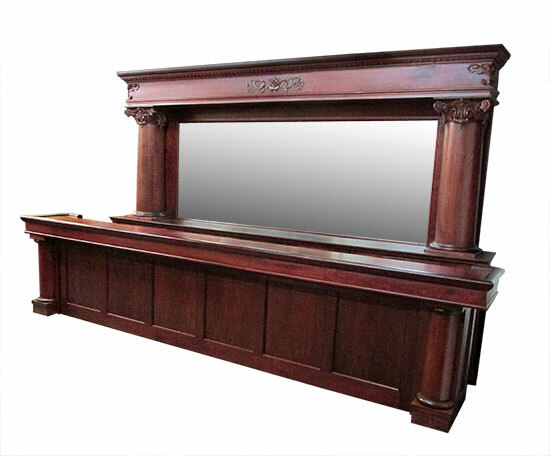 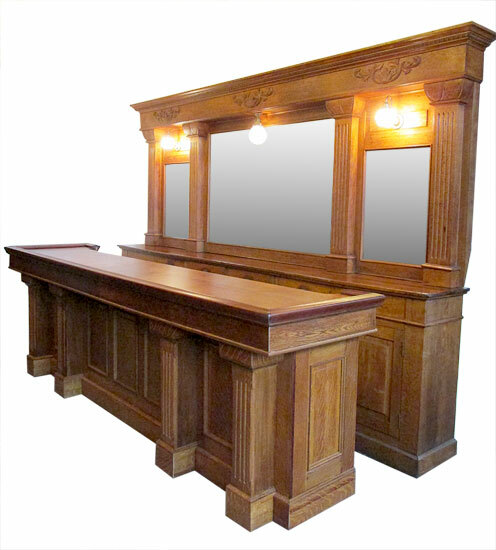 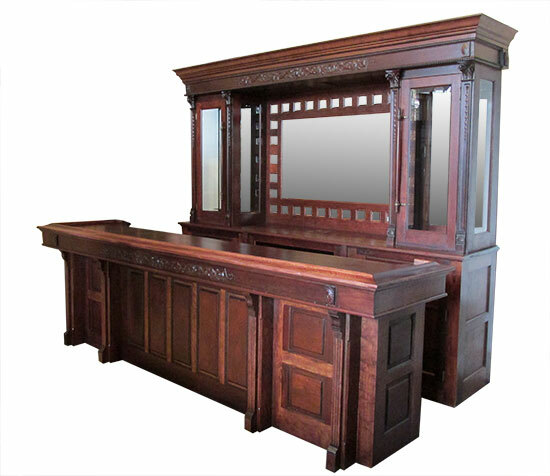 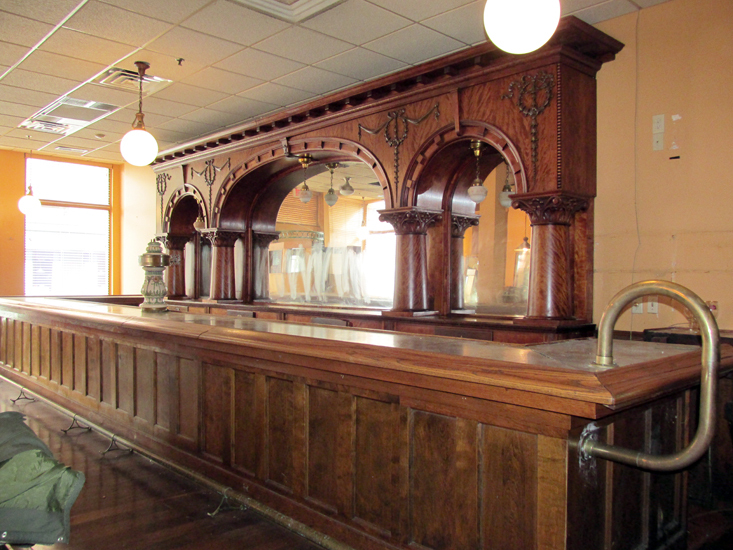 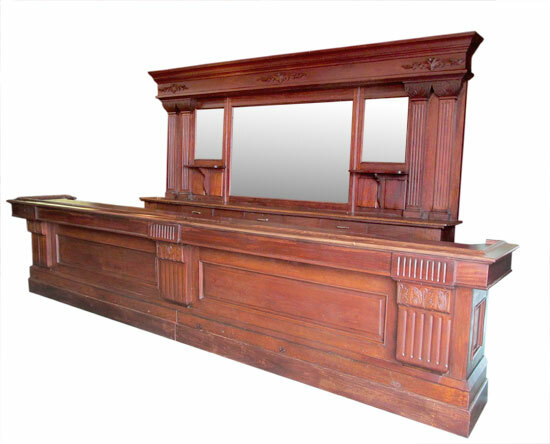 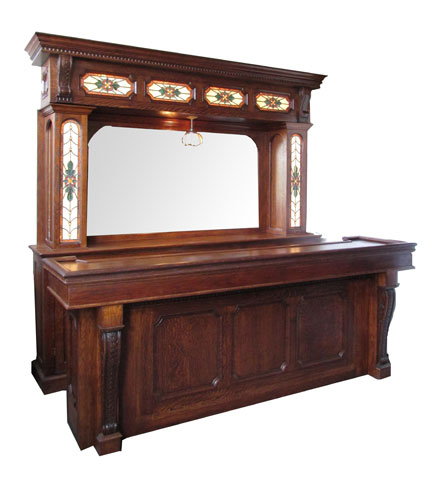 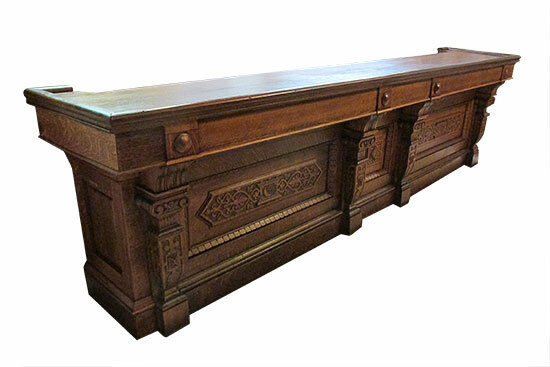 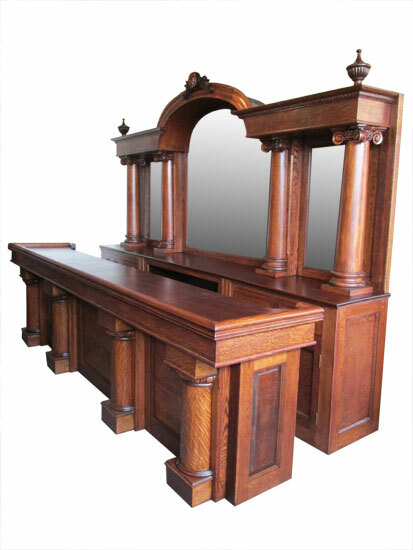 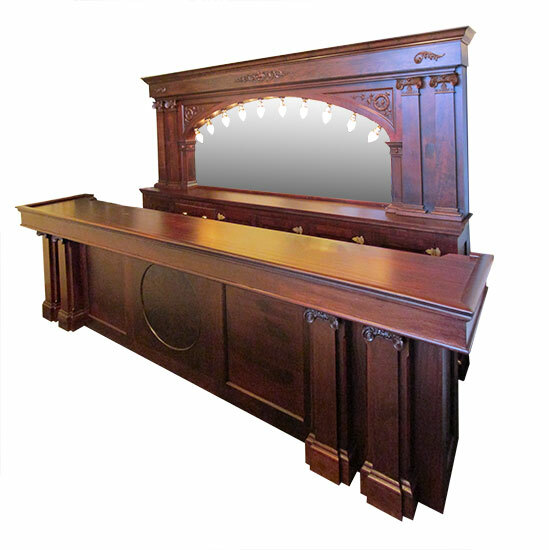 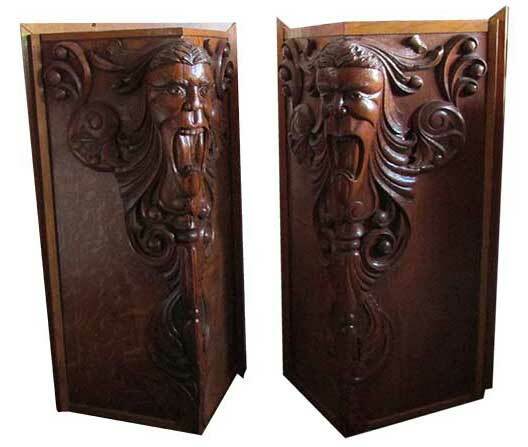 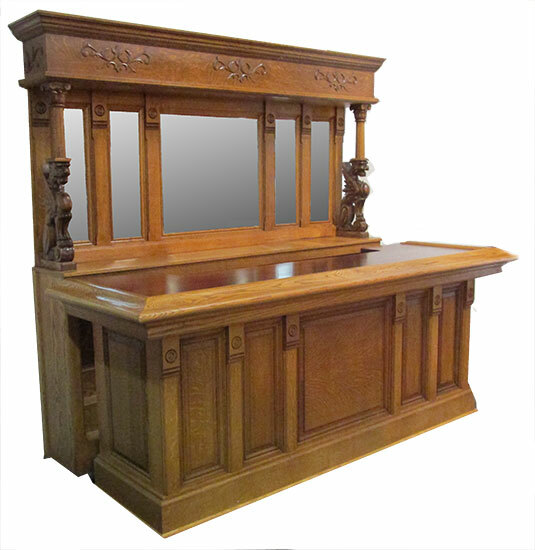 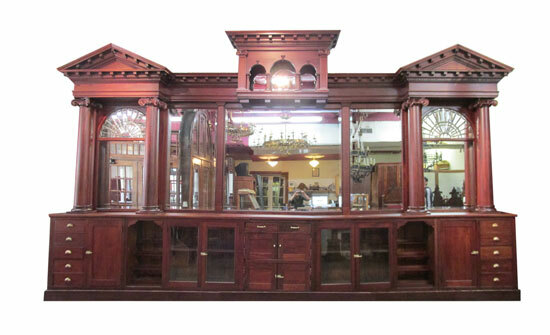 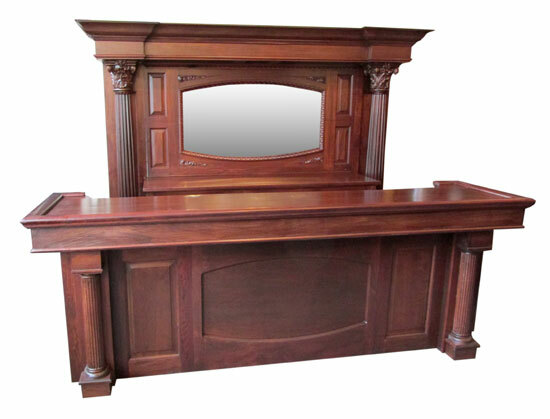 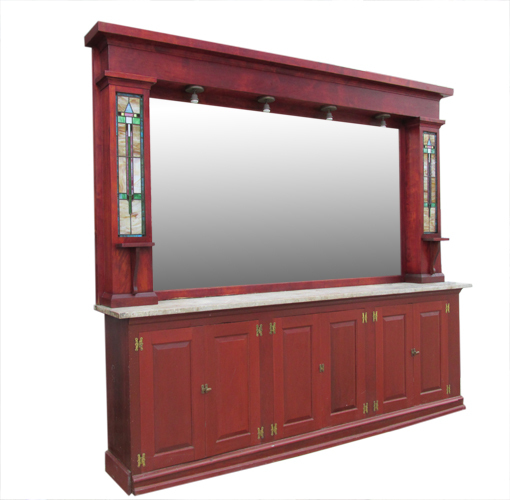 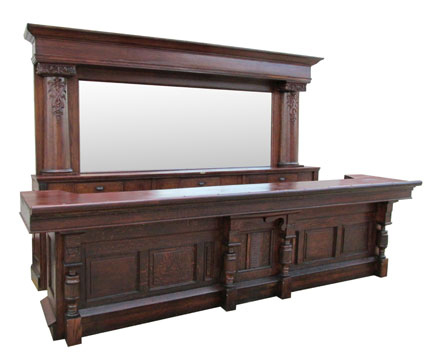 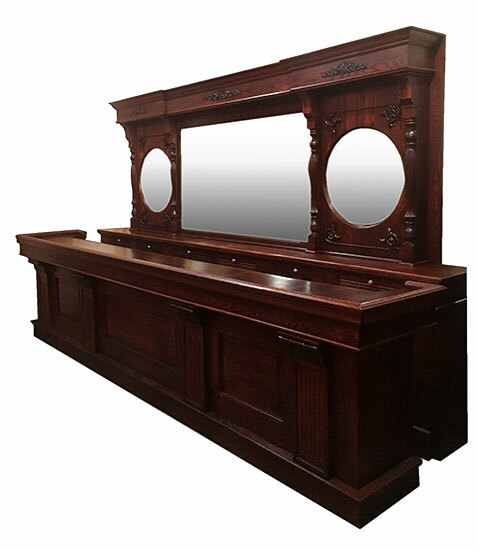 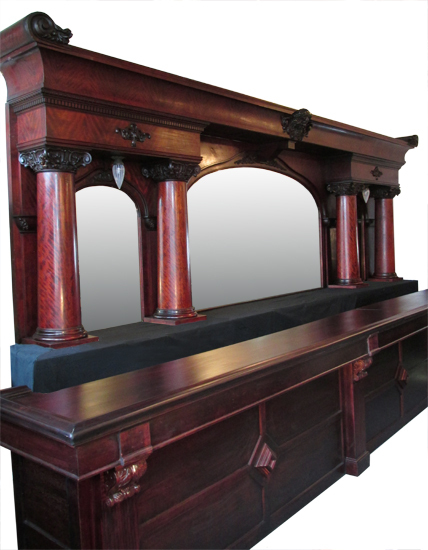 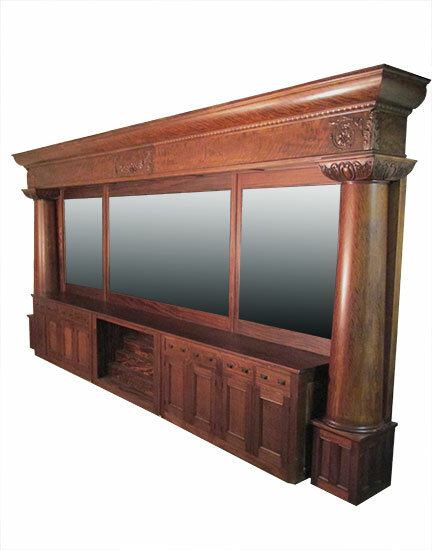 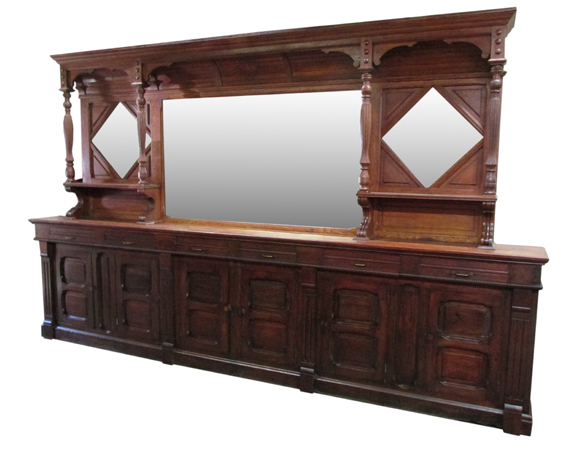 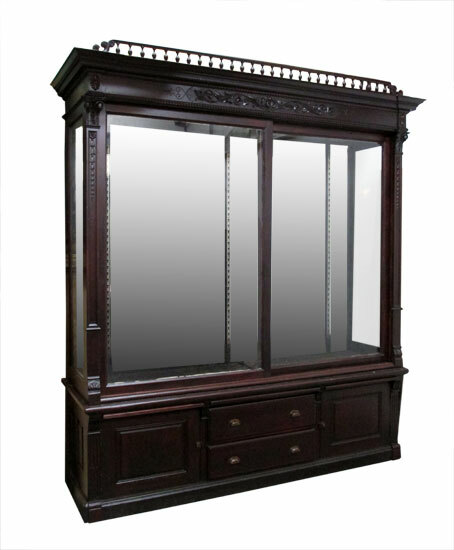 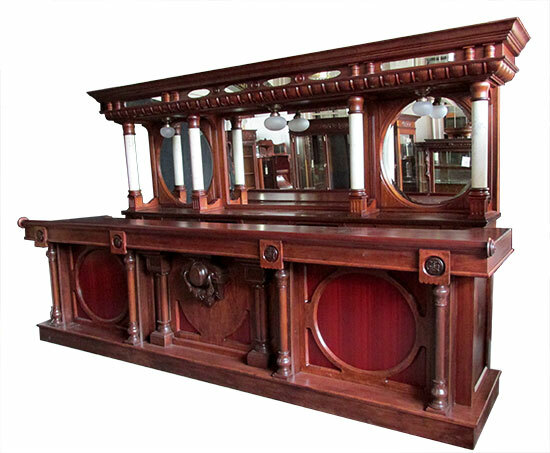 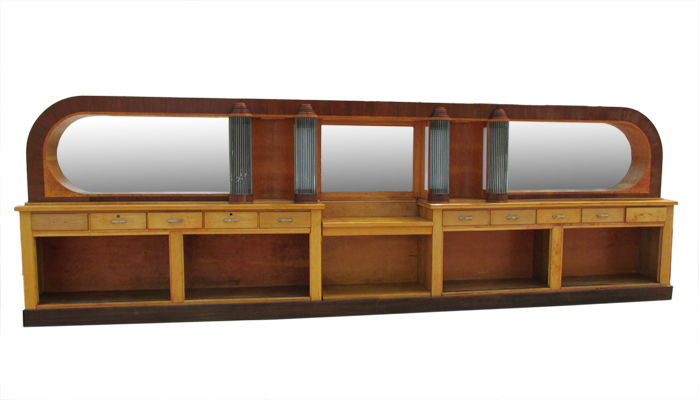 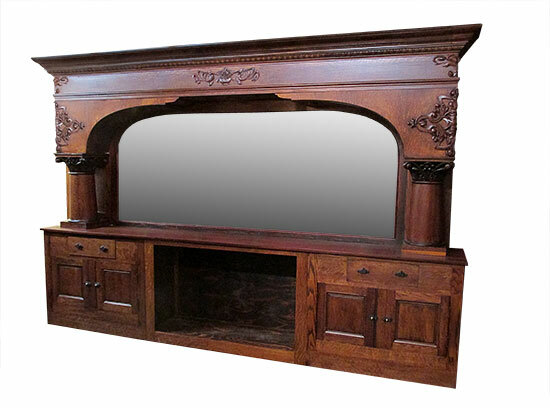 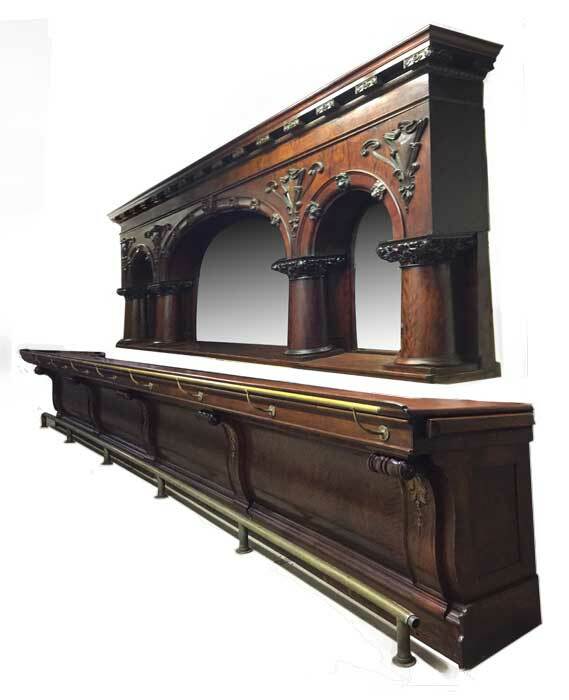 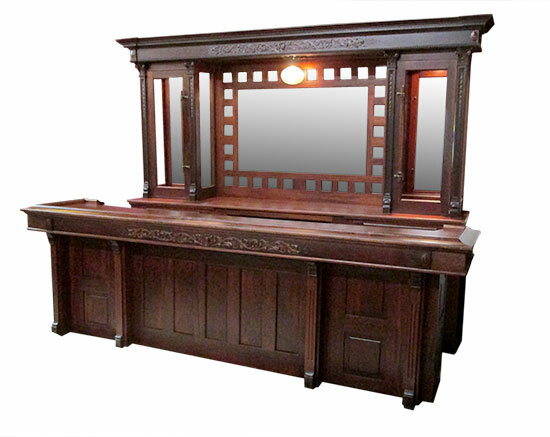 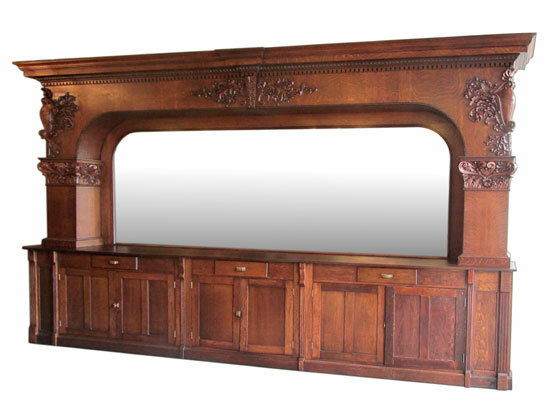 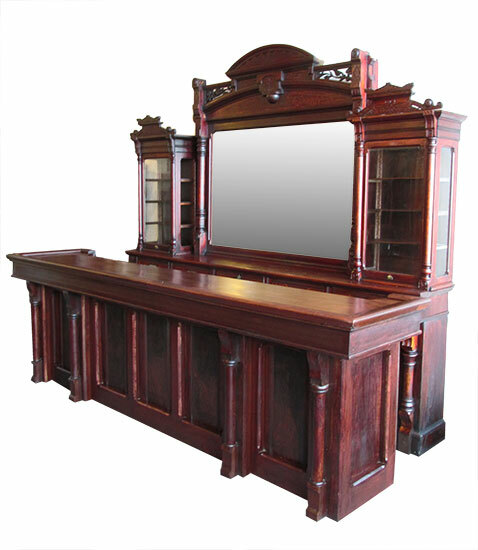 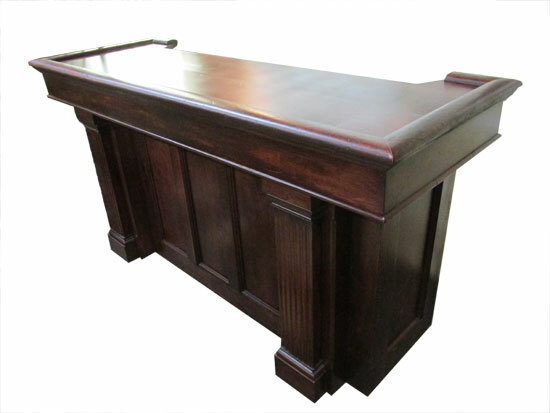 Wooden Nickel Antiques has been buying and selling antique saloon back and front bars for 40-plus years. 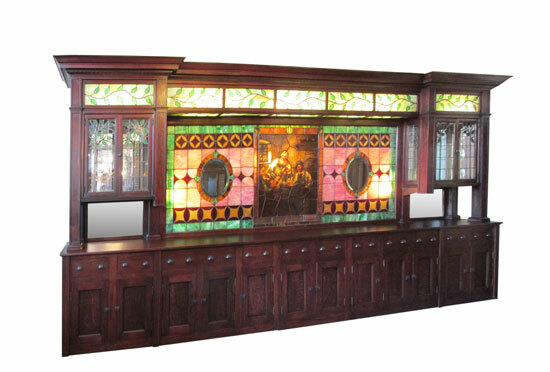 They hail from the 1880s to 1905 era. 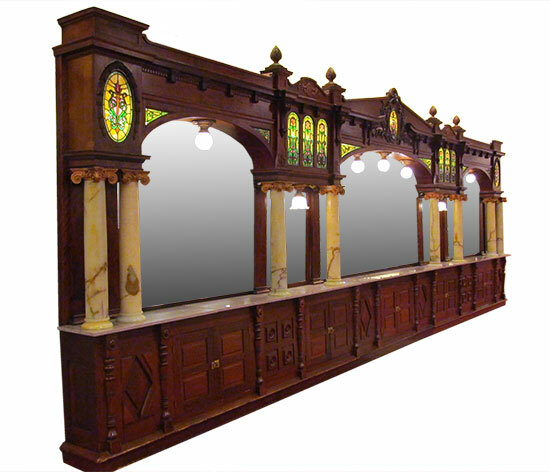 The back and front bars are in many styles: Triple arch, single arch, pub bars, and canopy bars. 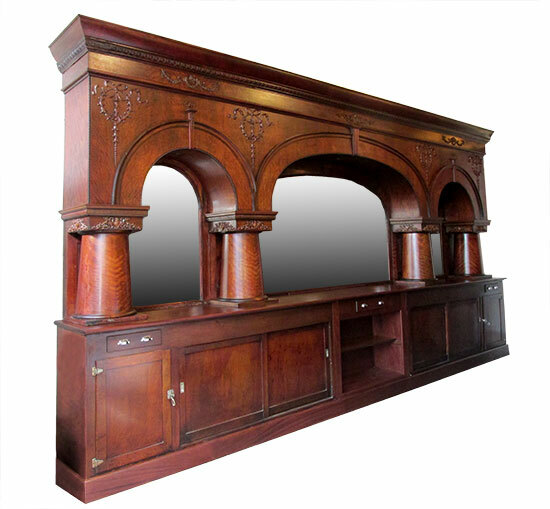 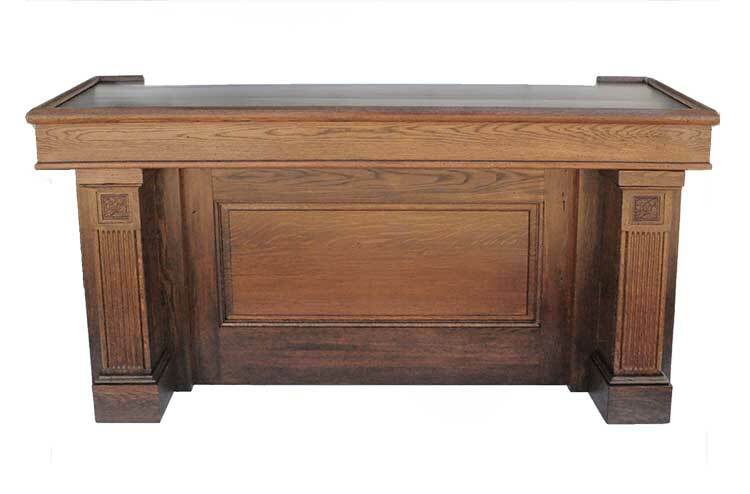 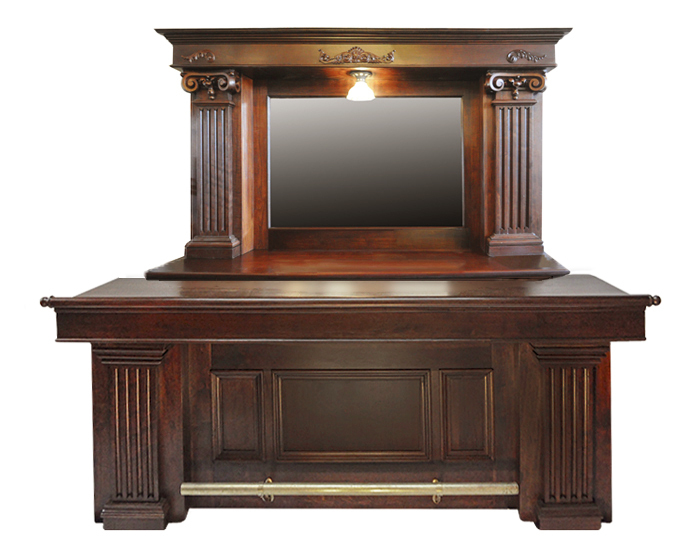 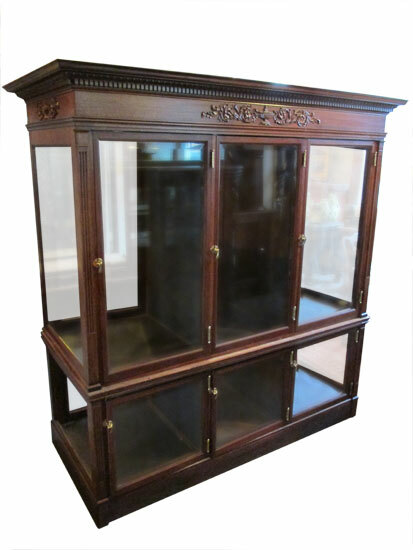 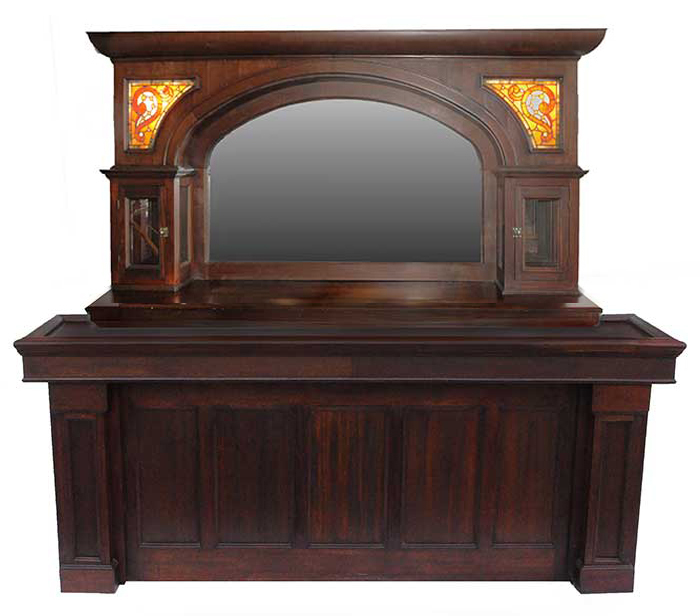 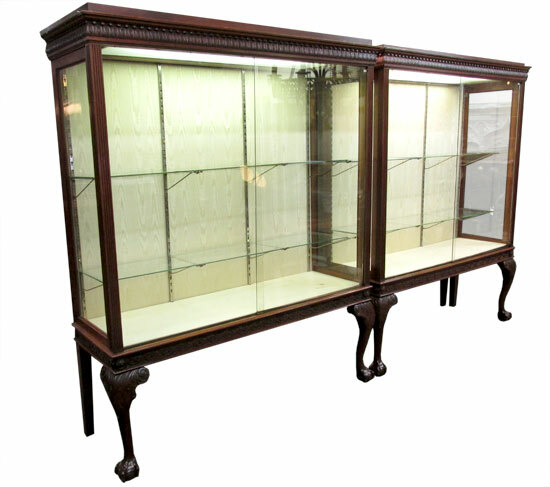 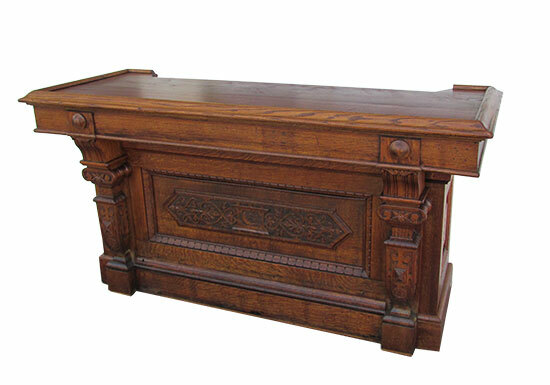 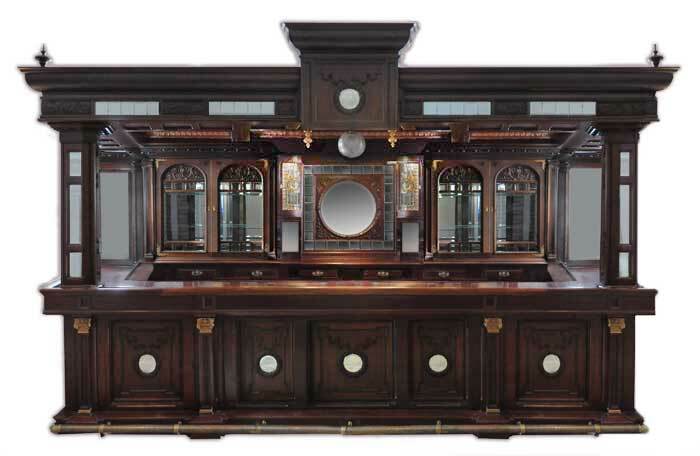 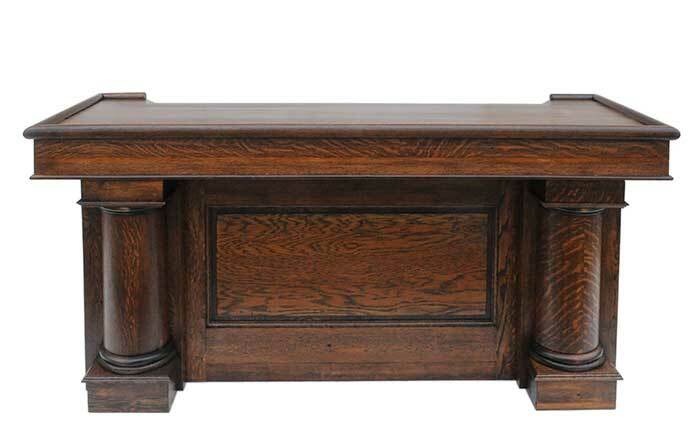 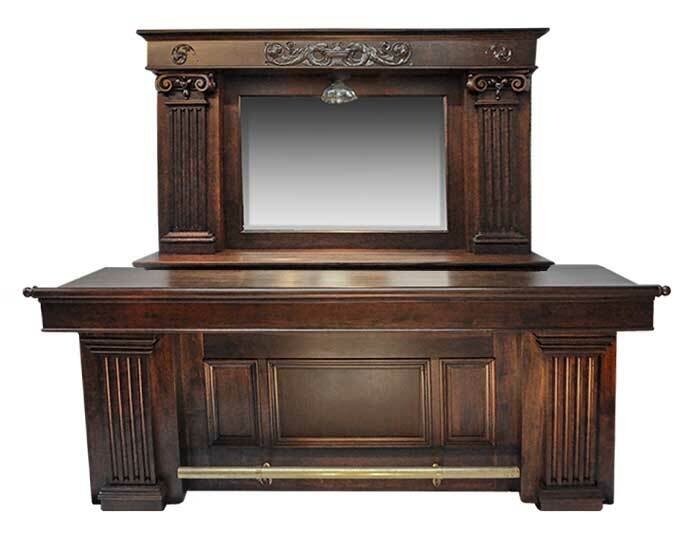 Many are from prominent manufacturers, such as Brunswick, Rothchild, Charles Passow & Sons, and more. 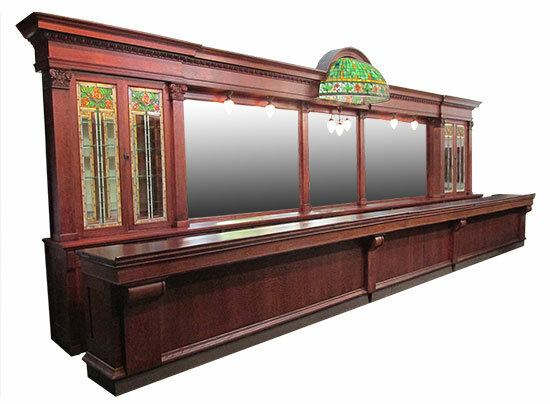 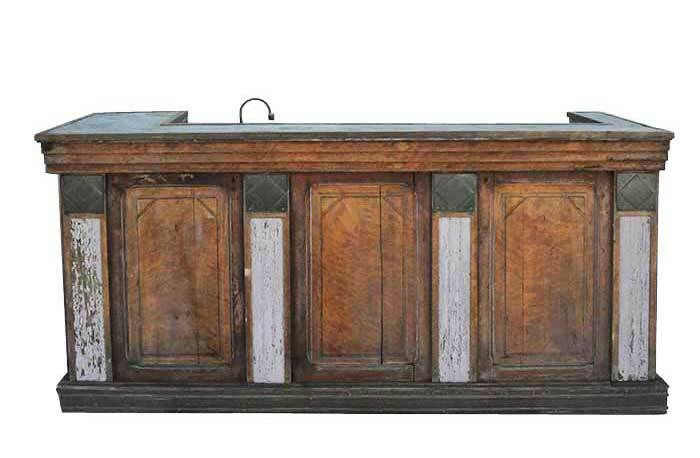 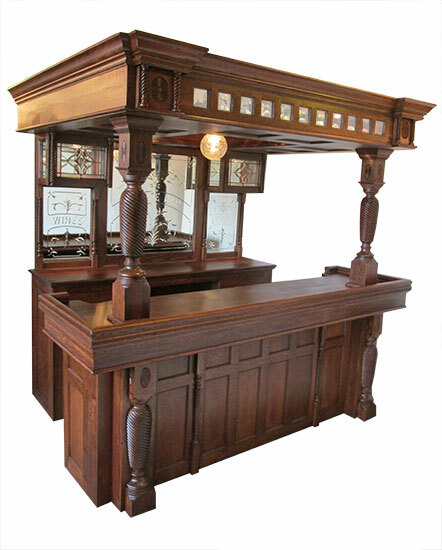 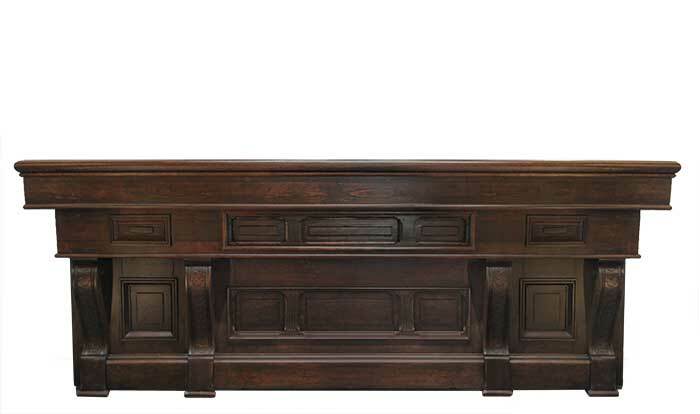 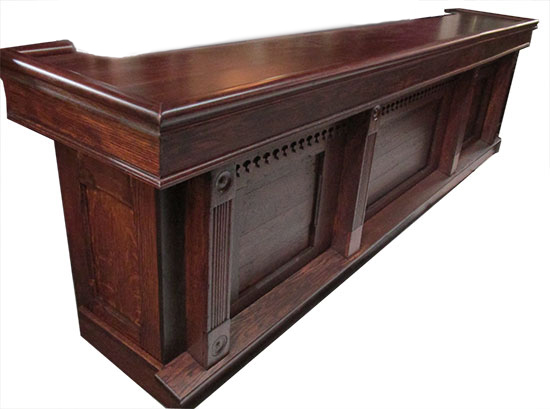 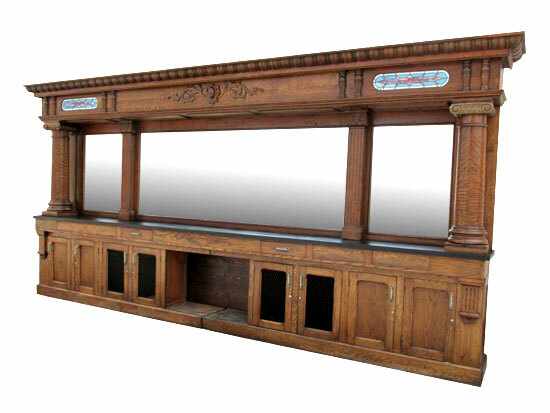 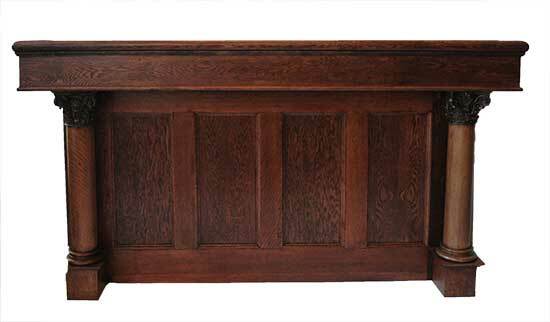 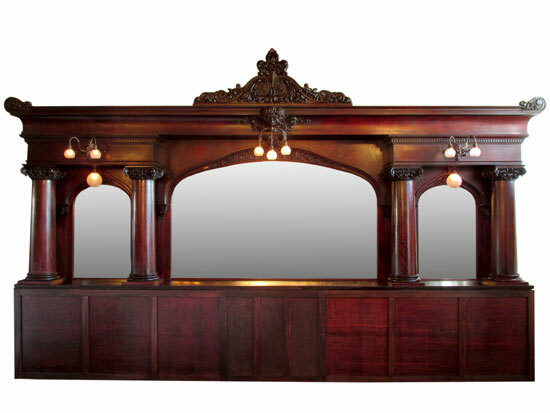 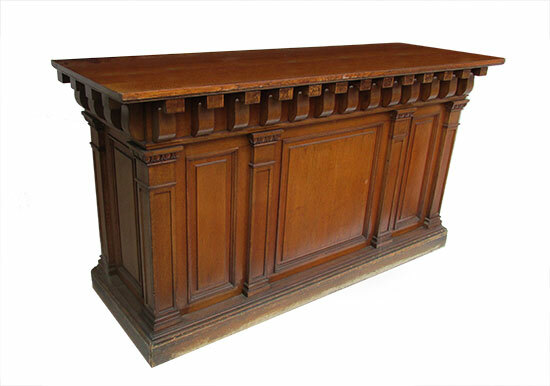 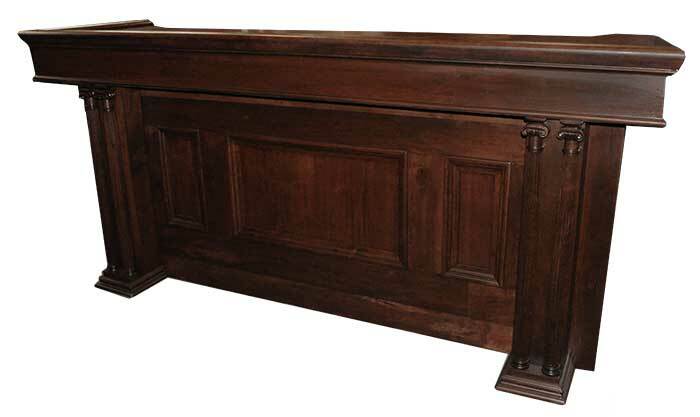 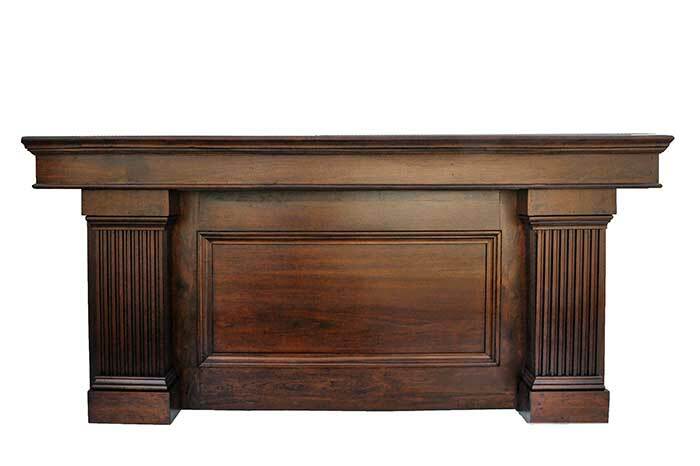 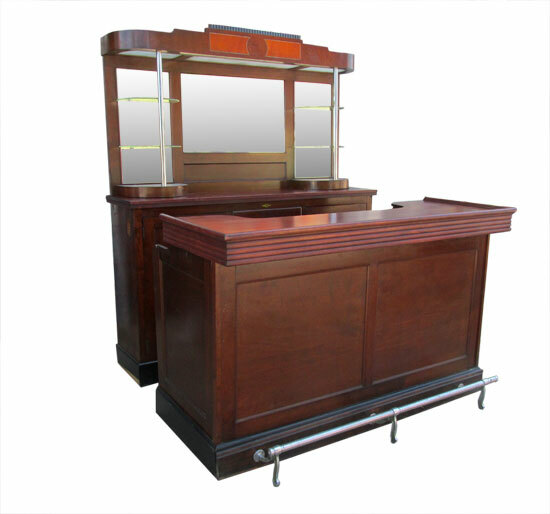 Each back bar had a “model” name, such as the famous Del Monte, made by Brunswick. 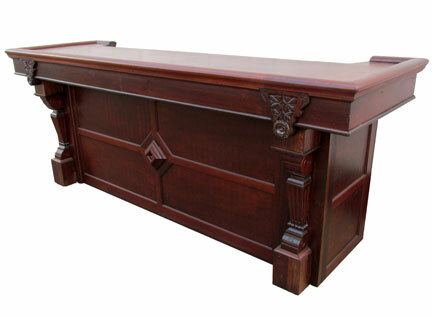 We consider these to be genuine American icons, the product of pure American design. 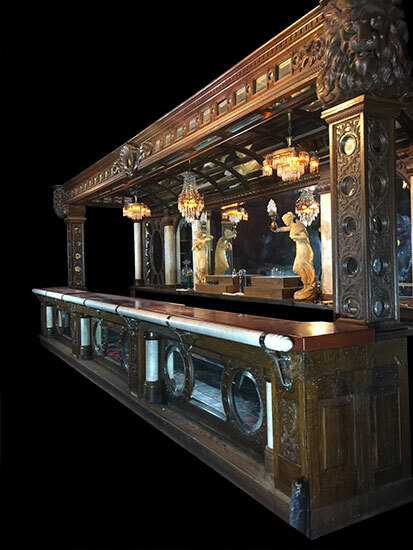 These bars once graced dusty cow town bars, businesses along the Gold Rush Trail, opulent Gilded Age establishments, and hotels. 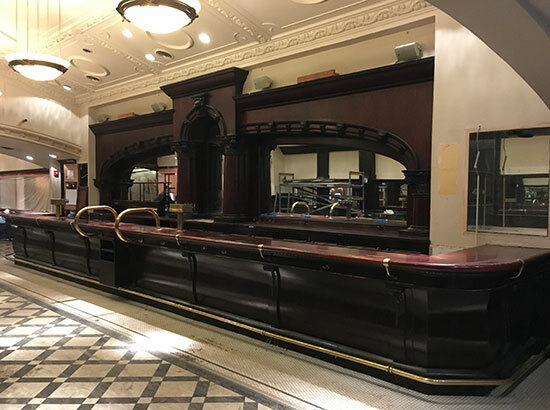 Just imagine the stories and history! 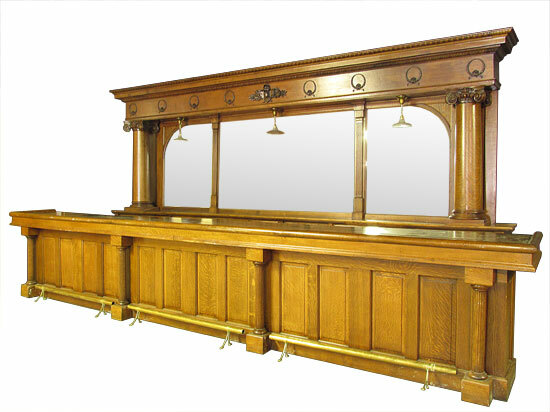 We also call these bars the “Survivors” because thousands were destroyed after Prohibition. 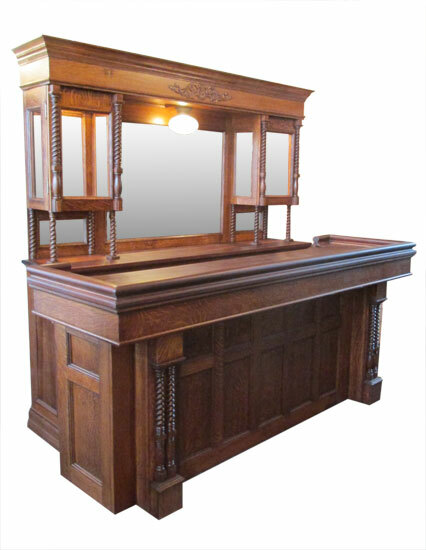 In our workshop we take great pride in the restoration and rebuilding process some of these beauties require. 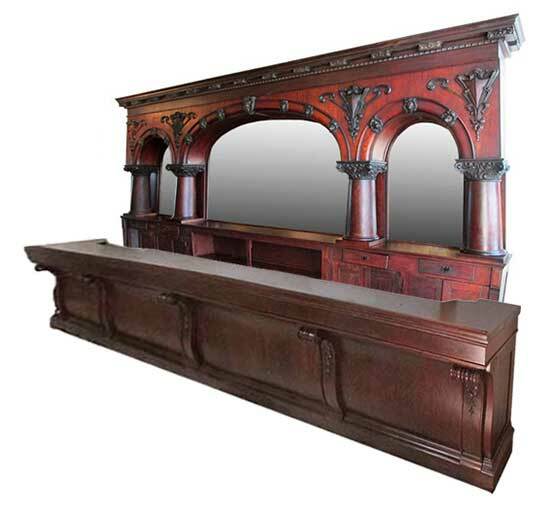 Of course, we try to retain original finishes and details whenever possible. 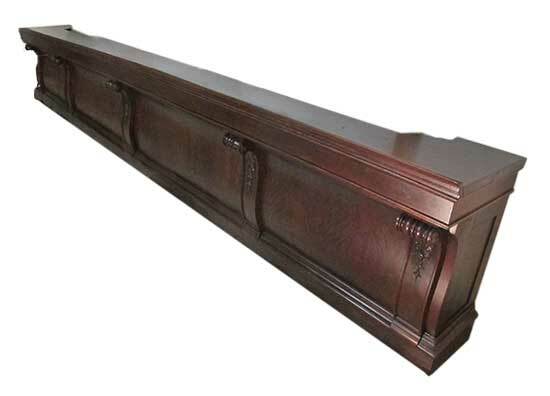 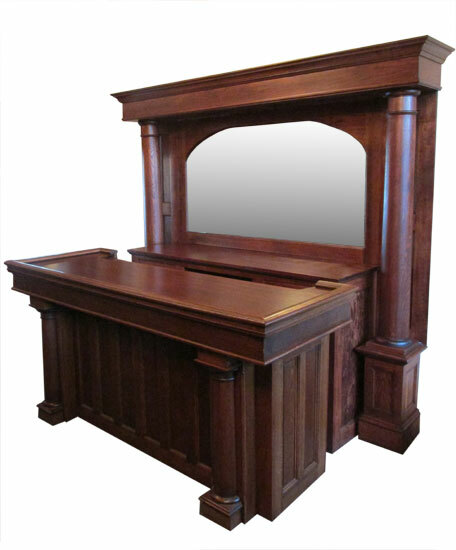 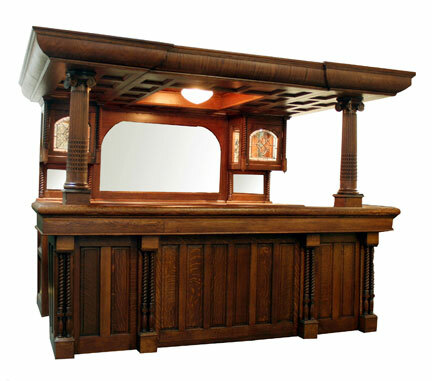 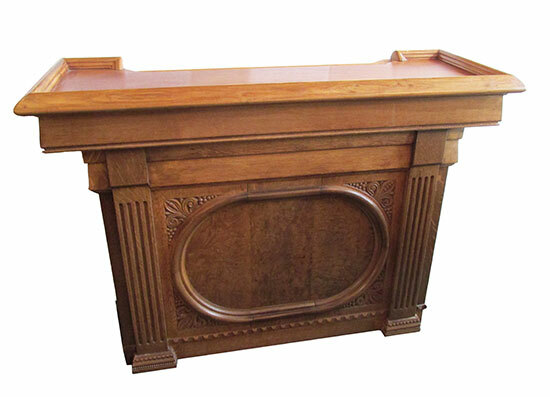 Check our website for back and front bars sized for home bar use. 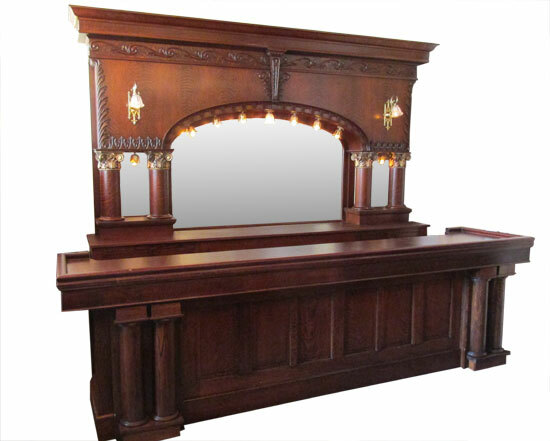 These are typically in the 8-, 10-, and 12-foot lengths. 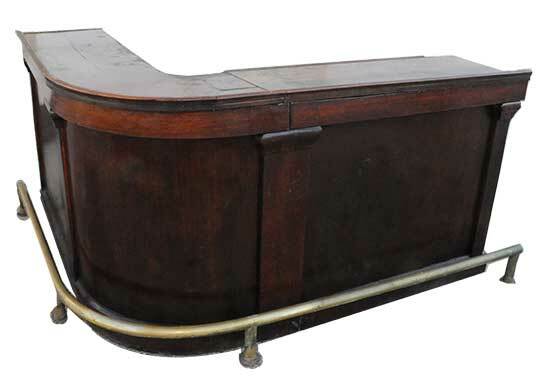 The back and front bars are surprisingly easy to transport. 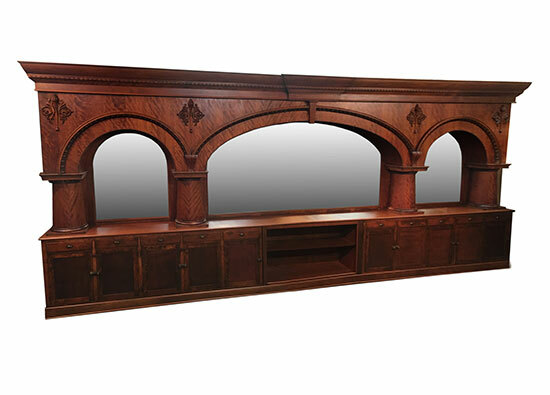 They were made originally to be modular for shipping by rail from the factory to the final site. 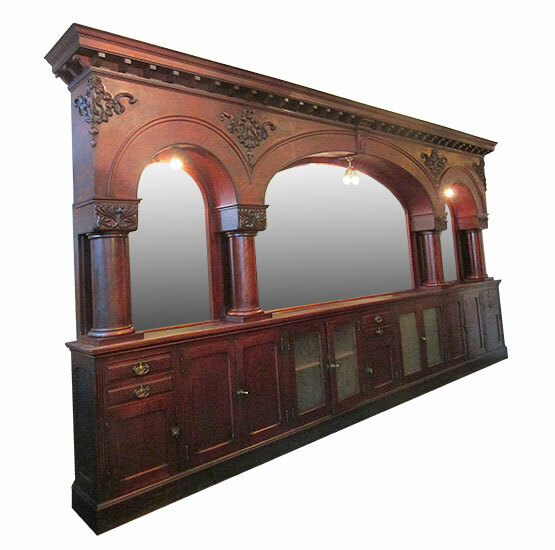 This unusual feature makes them freestanding rather than built attached to the wall, as new construction is today. 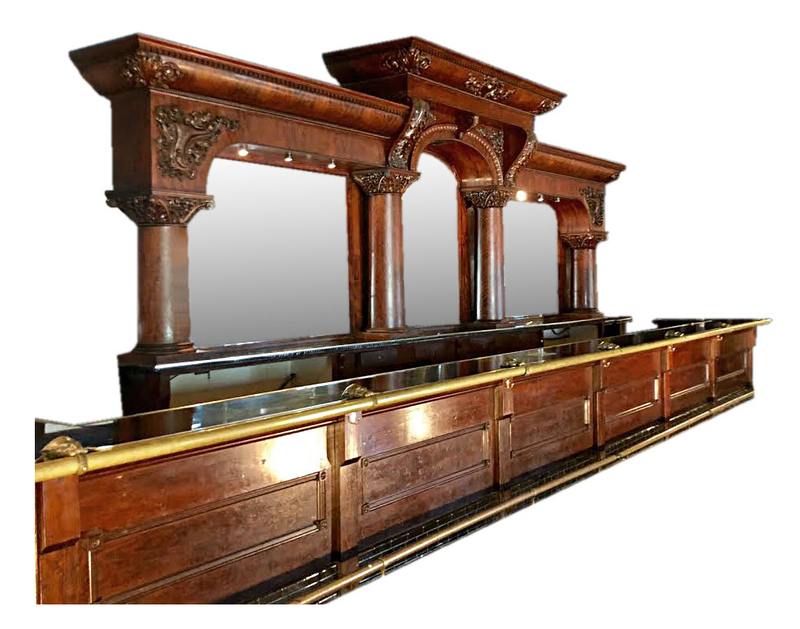 NOTE: The bars marked SOLD on the website are still posted to communicate to buyers and sellers the type and scope of merchandise we buy/sell.